The Emma 73 inch vanity combo embraces purity of design and masterful construction. The vanity in Dove Gray finish paired with brushed nickel hardware brings to life the cabinet's simple, clean lines. Emma provides abundant storage and Zen-like functionality. Soft-close glides and hinges keep things quiet and the solid wood frame and dovetail joints keep things strong. It includes a carrera white marble top and dual rectangular undermount sinks. The collection also features complementary mirror and linen tower to expand the look. Emma makes your bathroom beautiful. 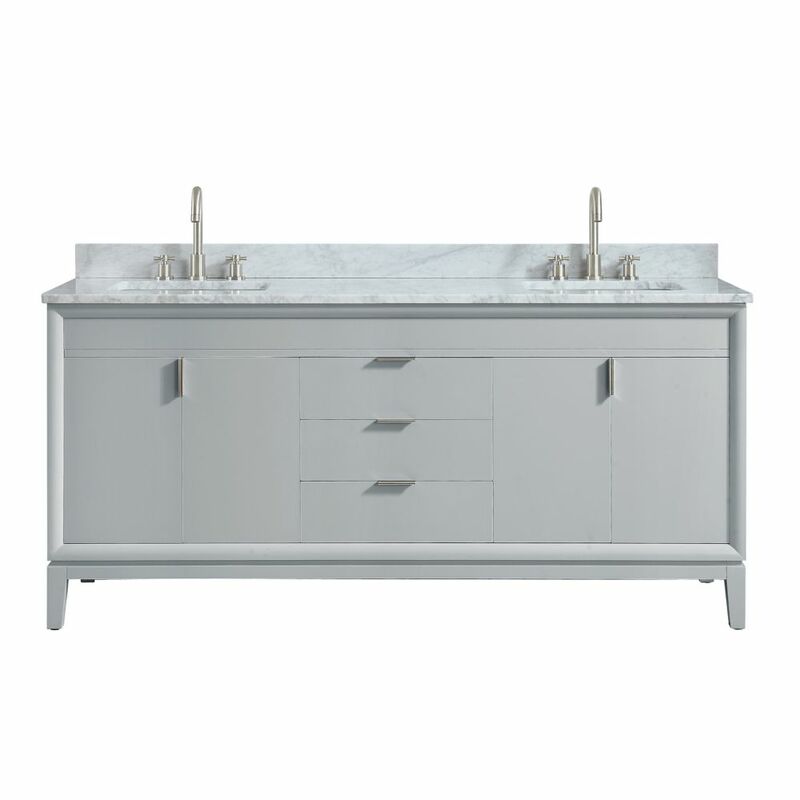 Emma 73 inch Vanity Combo in Dove Gray with Carrera White Marble Top The Emma 73 inch vanity combo embraces purity of design and masterful construction. The vanity in Dove Gray finish paired with brushed nickel hardware brings to life the cabinet's simple, clean lines. Emma provides abundant storage and Zen-like functionality. Soft-close glides and hinges keep things quiet and the solid wood frame and dovetail joints keep things strong. It includes a carrera white marble top and dual rectangular undermount sinks. The collection also features complementary mirror and linen tower to expand the look. Emma makes your bathroom beautiful.